Contact any refurbishment company and you’ll probably find they have a healthy amount of work on. Not only is the encroaching deadline for DDA compliance meaning an increased number of vehicles are being converted or are about to be, there also seems to be a greater focus on refurbishing vehicles to improve customer satisfaction. Chris Peat spoke to companies carrying out refurbishing to learn how this deadline is affecting what work they do and to what extent work associated with improving the passenger experience is on the rise? ‘The sluice gates are yet to open’, according to Graeme Armstrong of Thornton Brothers. He is referring to what could be a deluge of vehicle conversions if operators decide to convert existing buses to meet the deadline for DDA compliance, with an estimated 2,000 non-compliant PCVs on the road currently. At the moment there is a lot of indecision over what to do with them. Graeme also notes that a lot of operators are looking to refurbish their vehicles to enhance the customer experience. He said, ‘I would say these sort of services are the thing to be done, a lot are going that way.’ The company has taken on a lot of work converting vehicles for operations like Arriva’s Sapphire and First Aberdeen’s Platinum routes. ‘Good’ is how Neil Daniels of Blackpool Coach Services described business at the moment. It has been so good that he has extended his premises and is taking on more staff this year. DDA conversions are not at the heart of this surge he claims, it is more a case of operators not being able to afford new vehicles so instead they are refurbishing older ones. Operators do seem to be focusing more on passenger satisfaction, according to Neil. He is doing significantly more work on converting vehicles to a corporate style, with more metallic paint jobs. ‘Since some operators have had a complete colour change, it’s amazing how much work they get,’ he said. 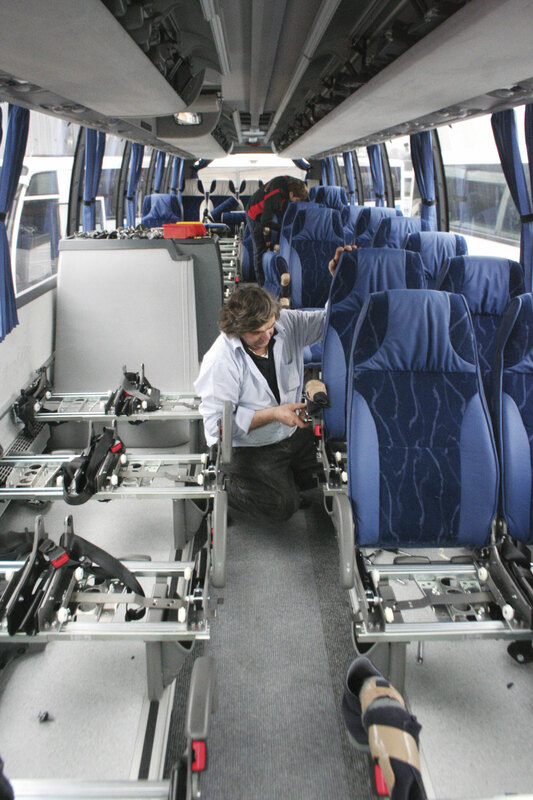 Bus and Coach World, located in Blackburn, is one of the companies at the forefront of the refurbishment boom as some of the bigger operators strive to improve customer satisfaction. Robert Hilton explained that the company has a major order to refurbish Arriva buses into its premium Sapphire and MAX specifications. It is also busy with other general refurbishment work, with Robert noticing a lot of operators are buying new and, instead of selling the vehicle on after five years, refurbishing to keep them to the standards customers expect. Kieran McCahill of Ferrymill Motors has noticed many operators are requesting metallic and more expensive paintwork of late. The company specialises in accident repair, having developed its own chassis re-straightening system, and can carry out vehicle rebuilding and full internal and external refurbishment. 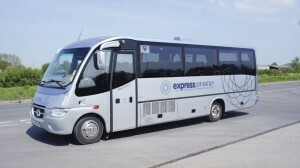 It has alliances with Volvo, Mercedes, MAN, ADL, Wrightbus and Plaxton. It is currently experimenting with a new ceramic lacquer from BASF designed to maintain the paintwork’s gloss finish for longer. Particularly busy with not only conversion work for DDA but across the board is Brackley based Duoflex. There is evidence there is more interest in improving customer satisfaction with refurbishments, with the company’s Steve Green saying the company is busy in general, not just with DDA compliant work. ‘More and more are requesting we do vehicles in leather. We get a lot of putting leather inserts in the headrests and on the sides. We get asked to do a lot more wood effect flooring now too,’ he said. Quality is something customers are looking for when it comes to paint work, as well as interior refurbishment. Andy Lund from Meridian Coachworks said there has been a shift from treating PCVs like commercial vehicles with one pack paint coverage, to expecting more of a ‘car-like finish’. This greater expectation for high quality finishes all goes towards creating a better experience for passengers. Marden Commercials is another busy refurbishment centre. The company carries out vehicle repairs, but its boss, Jim McKinnon, said its main activity is vehicle painting. One development in this is the extended use of two pack paints instead of single pack, meaning better quality of coverage. 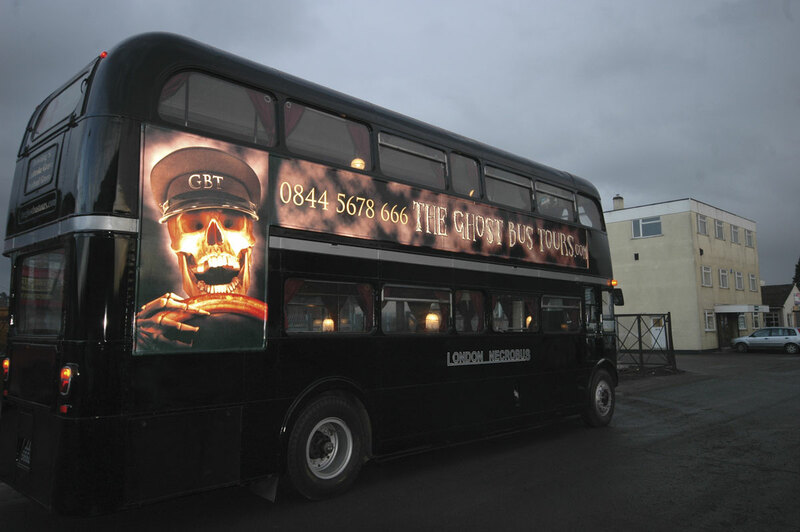 Vinyl wraps is another area that has proved ‘quite popular’ recently, with the business covering a lot of bus backs with them. Bill Comish of Eastgate Coach Trimmers has said a lot of refurbishment projects are being carried out lately, which is often driven by the fact operators are not buying new vehicles in such abundance any more. Instead, they are refurbishing ‘nearly new ones’. So it appears refurbishment is an avenue more are going down to improve customer satisfaction. However, Bill said this has not significantly impacted the amount of work it does, as it has ‘always been busy’. More work is being done to improve vehicle’s looks, with Bill reporting more luxurious specifications are being asked for. 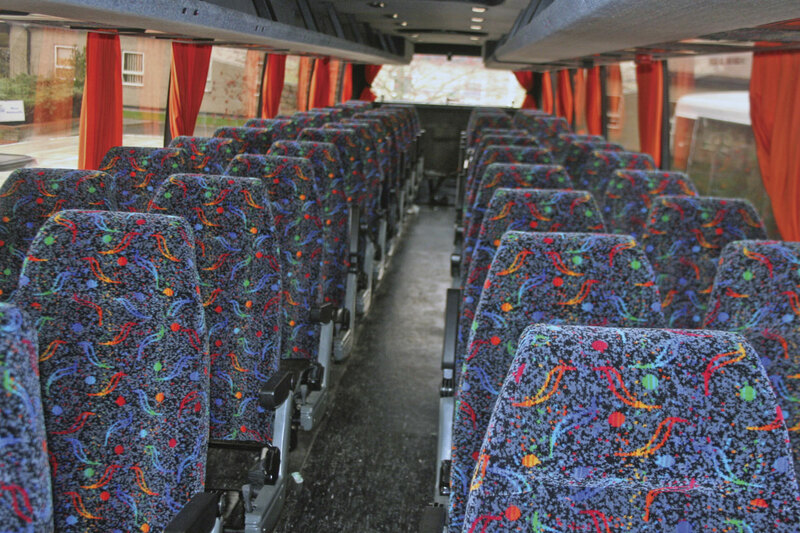 On the other hand, practicalities remain the motivation behind many refurbishment jobs, with Bill saying Eastgate does a lot of work up-seating vehicles. 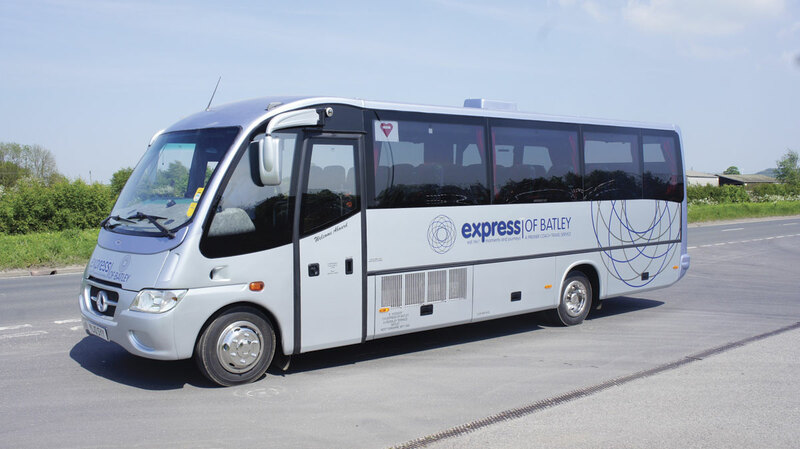 Practical reasons are the main driver behind many of Express Coach Repairs’ customers’ decisions to refurbish. General Manager, Simon Sheader, said he does a lot of up-seating, with one of his main tasks being to take toilets out and replace them with extra seating. At the time of writing, he was doing just that with three former National Express Caetano Levantes for an independent operator. He wonders whether this upturn in this type of work is because operators get less European work these days? Simon’s next door neighbour, Tony Sayers of internal refurbishment specialist, Floor Tek N Trim, said he is doing a great variation of work at the moment, with leather headrests and piping in particular seeming to be popular at the moment. He has also carried out ‘quite a bit of flooring’ lately. One company working in the refurbishment sector that has seen a switch over of the amount of work it does on vehicles for DDA compliance is Good Sign UK. Chris Wareing from the company has certainly seen the amount it does on low floor vehicles pick up. 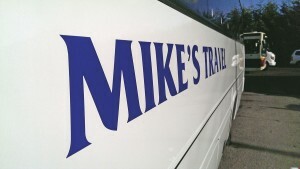 When it comes to improving things for customer satisfaction, he suggests a lot can be achieved with signs and graphics. It can breathe new life into a vehicle without spending thousands, he claims. He believes well designed graphics can have a dramatic effect in making the company look better and even more professional. The above is not an extensive list of refurbishment companies. It is well worth mentioning Blackpool Trim Shop, which is thought to be the longest established independent trim shop in the country. It can carry out full vehicle re-trims in one day if required, with more complex work taking longer. The business’ aim is to help and advise each customer personally. Britcom International has been refurbishing, re-spraying and repairing PCVs since 2007, but has a long history in the CV refurbishment industry. Its facilities include a steam cleaning bay and shot blasting area, as well as spray booths for all sizes of coaches and buses. Large modern workshops and a skilled team are at hand for Full Circle Enterprises. 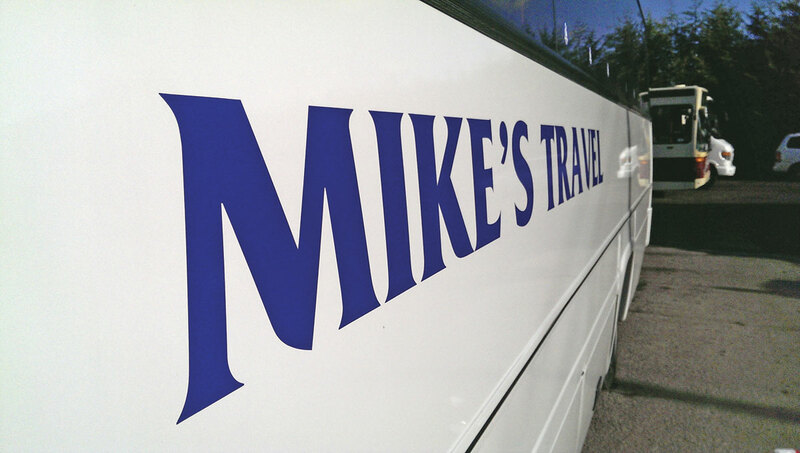 Even though the business has expanded to work in various markets (emergency vehicles and motorhomes amongst others) the bus and coach sector is where its roots are embedded. Hants & Dorset Trim has been busy of late, with one job being to fit individual USB ports on Go South Coast owned Bluestar and Salisbury Reds buses. The sockets mean each passenger on these buses will have access to one of the charging hubs, in addition to other extra services, including wi-fi. A hallmark of M&H Coachworks of Leeds is the use of quality materials for its work, which extends from bodywork to re-sprays. For those looking to fit new equipment onboard, the company provides various accessories, including first aid kits, glass hammers and steering wheel guards to name but a few. Offering three levels of service, S&G Coachworks has the capability to work on all types of bodywork, carrying out all paintwork. One area its Director, Mick Grayson, specialises in is metallic and pearl paintwork. 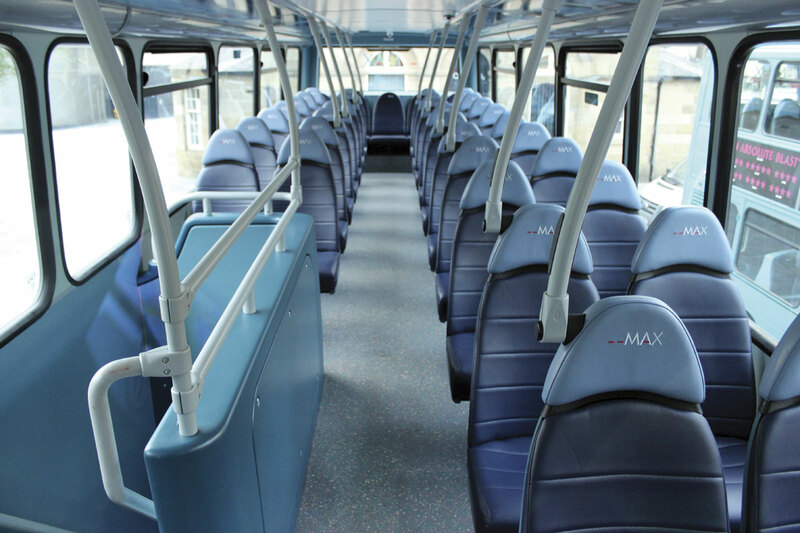 Having developed its own range of seats, Rowan Telmac also provides internal and external PCV refurbishments. It has a paint spraying booth enabling the complete re-paint of any PSV and it has the capability to carry out any bodywork repairs. It can conduct complete internal colour changes, as well as door and seating scheme layout changes. 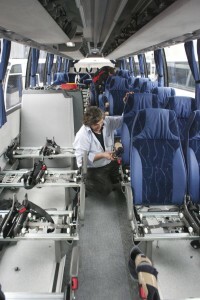 Euro Group’s upholstery department has recently undertaken extensive work for First Bus. 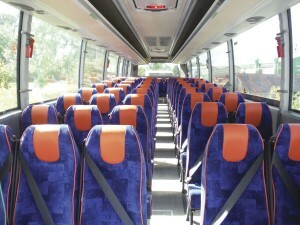 The Southend based business specialises in seating upholstery. It collects items from depots, removing all old material and foam, with only fire retardant foam and fabrics used in the re-covering. It laser cuts or profile cuts any grade of foam to virtually any shape and can supply thousands of different fabrics and leathers. It can work on site at weekends and through the night to suit service shifts. As well as those who will do the refurbishment work for you, there are also those who supply the products to carry it out in house. All coach carpeting and material needs are taken care of by AK Carpets. It offers everything from flooring, matting and sidelining, as well as an array of accessories. The company aims for value for money and prompt supply. If looking to improve customer satisfaction further, leather seating and/or trims is one idea to consider. 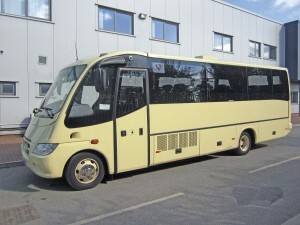 Andrew Muirhead and Son has its Venturer product designed for high volume traffic across the bus and coach industry. It features a new lacquer system engineered to meet the greater abrasion, flex, colour fastness, rubbing in wet and dry and increased perspiration demands of the sector. Another leather provider is Danilo Lucchi, which has a range of different coloured automotive leathers for luxurious interiors. The company provides various styles of leather, from perforated to embossed. 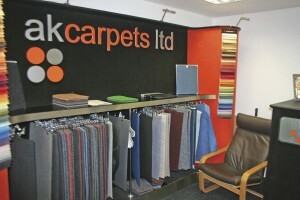 Vinyls, fabrics and wall and floor coverings are available too. An alternative to real leather is E-leather. 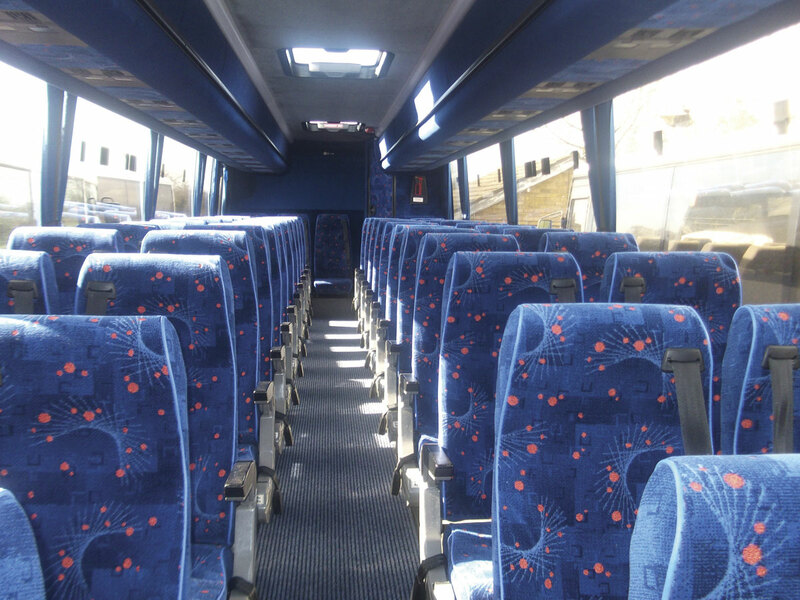 Made in a high-tech processes that uses leather off-cuts that would otherwise be put into landfill, the material is being increasingly used on PCV seats. Available on rolls, it is easier to work with than conventional leather and is less expensive. Having been used on around 1,000 buses already since its introduction into the bus industry five years ago, one of the more high profile uses of the material of late has been on Arriva’s Sapphire and MAX brands. The company worked closely with the brand’s designer, Ray Stenning of Best Impressions and the operator to create a bespoke product for the application. 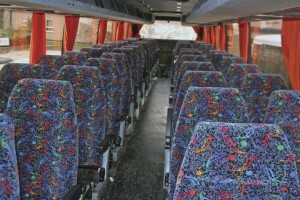 Another refurbishment project saw it develop a water proof version of E-leather for open toppers for Lothian Bus. Automotive textile specialists, AT industries, have noticed a trend in more coach and minibus companies refurbishing rather than buying new vehicles. The company supplies textiles, fabrics and floor covering finishes for every aspect of vehicle interiors from floor to ceiling. When it comes to re-flooring a PCV or trimming it, one option is Martyn Industrials. As well as providing soft trims, flooring and vehicle kit solutions for this, the company provides complementary products, including adhesives, sealants and tools. It provides brands such as Gerflor, with its Tarabus flooring. Fabercon imports two main product lines, Enduratex and Herbert Knietz upholstery. The company supplies Knietz fabric to some of the major operators and independents in the industry. The material is made from a blend of 30% wool and 70% polyester, intended to give it a much brighter looking finish, which is easier to clean and maintain. It is designed to be lighter, more resistant to light and be highly resistant to abrasion. The Enduratex upholstery range includes a new faux leather released last year. Another flooring supplier is Altro Transflor, which has been supplying the industry for over 50 years. Its products have been designed to be lightweight and easy to install and maintain. They are available in various colours and styles, including wood effect and a customised colour design service is also offered. For all seat belt needs, there is BHIuk (previously known as Barry Hall Installations). The company supplies various belt system designs and provides an installation service. Hand rail padding and assorted fittings are also provided. It also does some refurbishment and conversion work, including up-seating, re-trims and fitting new flooring. With many still not buying new vehicles as readily as pre-2008 levels, the refurbishment sector has seen a definite boost lately. Although the DDA compliance conversion ‘floodgates’ have yet to be opened, the introduction of various upgraded brands (MAX, Sapphire, etc) have helped increase the number of vehicles being refurbished. Whether re-trimming a vehicle for a premium brand or just to keep it on the road for longer, at the heart of the decision is always the need to meet customer satisfaction.